UK office cleaning company SMC Premier surveyed UK office workers about their hygiene habits at work and the results revealed a disturbing statistic that only 61% of respondents wash their hands properly with warm water and soap after going to the toilet. The survey also uncovered that women are more hygienic than men after using the toilet with 66% happily washing their hands after a visit to the bathroom, compared to 53% of men. Eating at your desk isn’t uncommon especially for 26% of office workers who remain at their desk to eat at least 1-3 times per week. ¼of respondents admitted to eating and working 3-5 days per week, and 4%having no choice but to eat at their desk every day. But is 4% a high statistic? Are employees expected to work through lunches to meet work deadlines? On average, around halfof 18-64-year olds will move away from their desk to eat, leaving the other half to remain seated occasionally. Despite the popularity of eating at your desk, only 11%of workers will clean theirs properly. 38%will do a ‘quick clean’ – put snack wrappers in the bin or empty the crumbs from their keyboard, while 45%are spotless eaters and never need to clean up after. However, there is still 7%of employees who are too lazy to clean and instead leave it to someone to else. The over 65’s is cautious about making a mess after eating at their desk with 72%claiming that they don’t need to clean up, compared to just 1/3of Millennials. The survey also exposed people’s opinions around hot-desking, and a shocking 6%of those asked were under the impression that all shared desks were cleaned after use. 12%of respondents who regularly hot desk will only work on the desk if they know it’s been cleaned first. 38%share a strong opinion that communal desks are germ-infested because you never know who’s been sat there. When it comes to who is responsible for the cleanliness of the office, 6%revealed that it should be left to the cleaner as it’s not their problem. 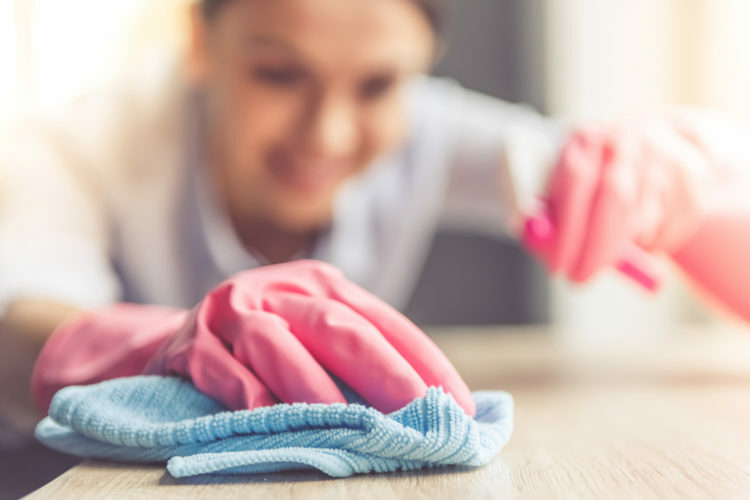 For 56%of respondents, they admitted to helping clean up as it would eventually annoy them, and 38%confessed that they reluctantly clean if they had to. Have you thought about the cleanliness of your cup when drinking a brew out of it? We asked employees to share their brew making hygiene skills; 25%confessed to never cleaning the cups before making a round. However, 39%will wash the mugs properly, and 36%will do a quick rinse to avoid using a communal sponge.